The registration for the “red dot award: product design 2012” officially ended but the most creative concepts can already hunt for the red dot again: The application period for the “red dot award: design concept” has started! Designers or design teams have the chance to win the “red dot: luminary” – the ultimate distinction of the competition: The most recent winners have been Philips Design’s Microbial home, Saab Automobile & GM Europe’s Aero X concept car, DesignExchange’s SIRIUS Breast Cancer Scanner, Francesco Sommacal’s 360 and Lim Sun Liang’s Ring Faucet. To make the registration run smoothly, the “red dot award: design concept” accepts entries not only in English and German, but also in Chinese and Korean since 2011. Jury members who are native speakers of the above languages make up a part of the full panel of over 20 design experts. If you believe that your product design idea will be the next big thing, now is the time to tell the rest of the world. 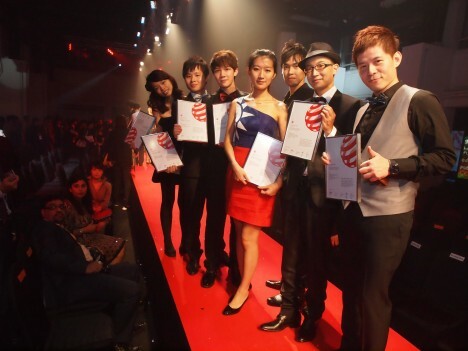 The “red dot award: design concept” is the platform for concepts and prototypes you need. All entries that will be registered until 29 February 2012 will benefit from the early bird discount. Categories: There are 21 categories to choose from.